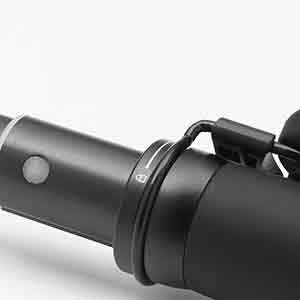 As light as a smart phone, the YI Selfie Stick weighs less than half a pound and is compact enough to carry in your purse or bag. The metal clip can be used to hold your Bluetooth remote. It also doubles as a pocket clip so you can conveniently carry your selfie stick by hanging it on your pocket. 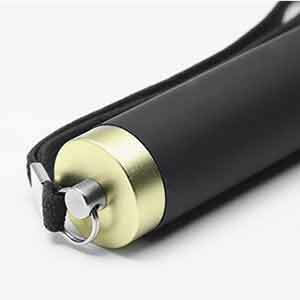 Adjust the length of the selfie stick with the simple twist-and-lock function. Twist counter-clockwise to release and twist clockwise to lock it in place. 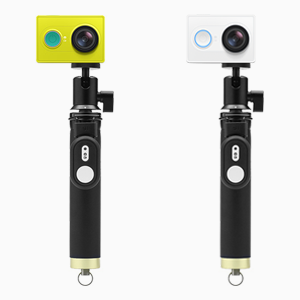 Take photos and videos from any angle with the rotating head. 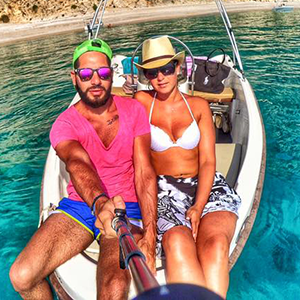 Just mount your YI Action Camera and pivot and adjust it to your best selfie angle. 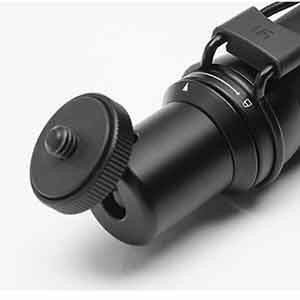 The 1/4-inch universal thread mount can be used with a variety of standard cameras and video cameras. 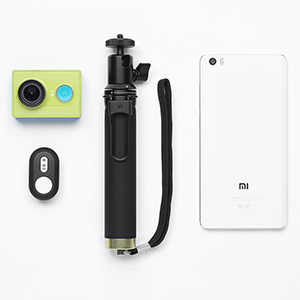 Travel light and just take the YI Selfie Stick and use it for multiple cameras. 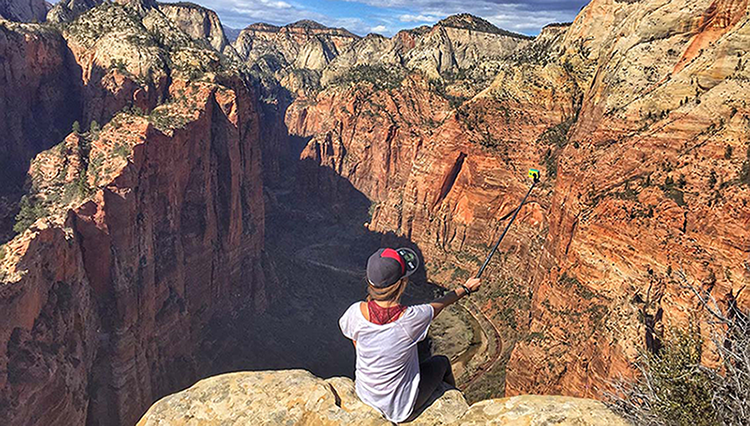 For added convenience, the wrist strap lets you carry the selfie stick around hands free. 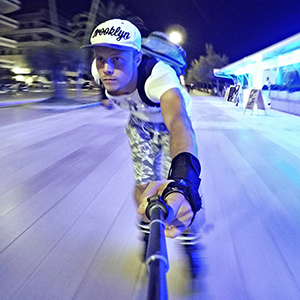 Secure the selfie stick around your wrist while you’re taking action shots so you don’t lose your camera. 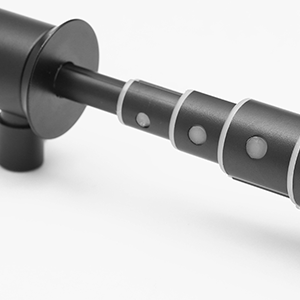 This heavy-duty selfie stick is extremely sturdy and can withstand and support heavy objects. Using Bluetooth 4.0 technology, the Bluetooth remote boosts fast connectivity, strong Bluetooth signal, and low power consumption. Control your camera remotely and get creative with your shots. The Bluetooth remote comes with a non-slip silicone case that can be attached to the selfie stick, a keychain, or can easily fit in your pocket. Using a replacable lightweight lithium battery, the Bluetooth remote has a battery life of 1 year. Have fun with the Bluetooth remote and use it to take selfies or groupies. Jabra Bluetooth Headset (BT2046) Original! 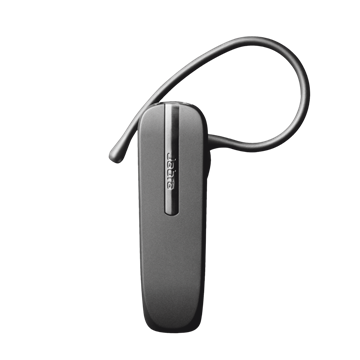 Original JABRA (BT2046) bluetooth headset! 24 months warranty by Authrorized Distributor.